Would you like to have a colourful, drought resistant, Vertical Succulent Garden? These beautiful living intricate creations tend to go unnoticed due to their infamous family friend – the cactus. Although succulents are just as hardy as cacti, they offer a more diverse range of colours, shapes, sizes and textures depending on your preferred design outcome. Succulents are perfect plants for Australia’s sizzling summers and our not so wintery winters. Succulents have an amazing ability to adapt to their surroundings and conditions, hence the thousands of different species. Succulents are slow growing, storing water and nutrients in their thick leaves which allows them to power through harsher conditions. However, as invincible as they may seem, over-watering and lack of direct sunlight can be detrimental to their health and longevity. 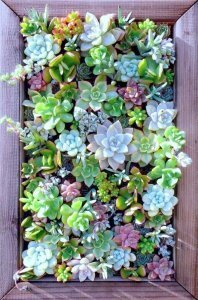 To achieve an aesthetically appealing vertical succulent garden, mass planting is a kick in the right direction. With a range of colours, varieties and textures, you will have your vertical succulent garden looking like a masterpiece in no time. 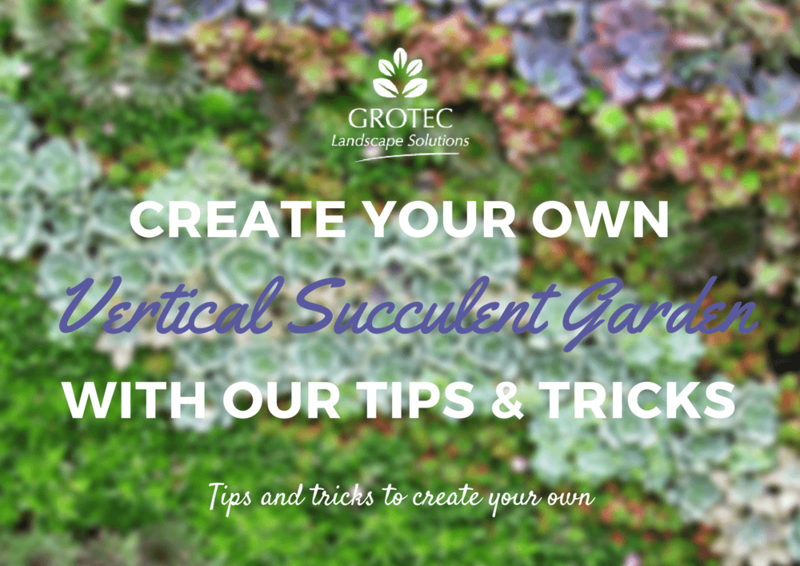 Succulents have a shallow root system which will allow them to be planted in limited amounts of well drained soil. 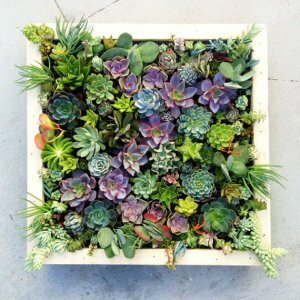 The colour scheme for your vertical succulent garden will set the mood. Even selecting a random handful of varieties will amaze you as each individual species possess a unique look. Grotec would love to see your amazing creations. Send us photos of your vertical succulent garden and we’ll share it on our Facebook page. Going green thumb doesn’t have to be boring, costly and time consuming; the team here at Grotec have plenty of quick projects and garden advice we would LOVE to share with you as time passes.